I am truly loving winter so far. We’ve only had one major snowstorm in NYC and the temperatures have been way above average. All I can say is, I won’t complain. 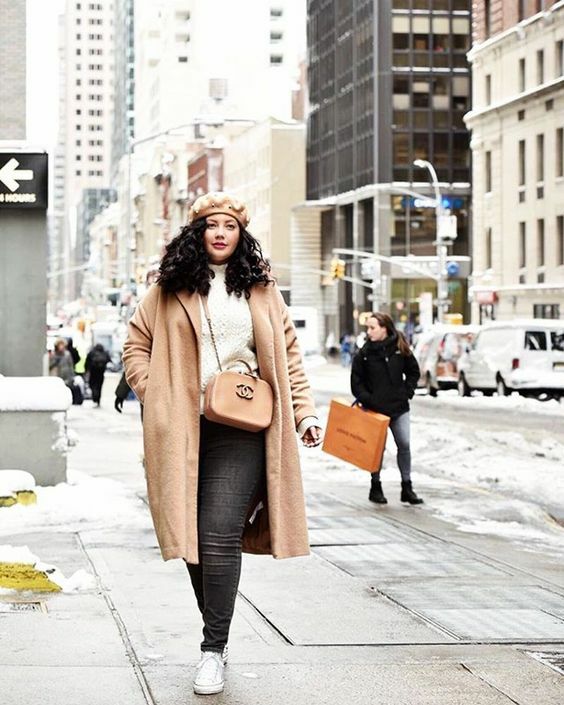 When it comes to winter style I am all about a great winter coat, over the knee boots, and a dashing scarf, or gloves. That is truly my winter uniform. A few months ago, I did an article on winter coats (read HERE). 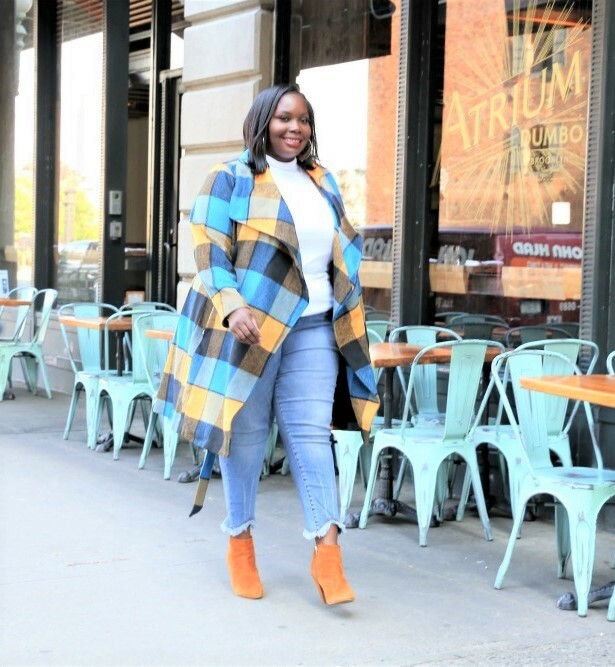 While I was picking and choosing some of the best plus size winter coats, I found one, well a few that I really liked. I have never been a basic black coat type of girl. I love a good print or bright colored coat. 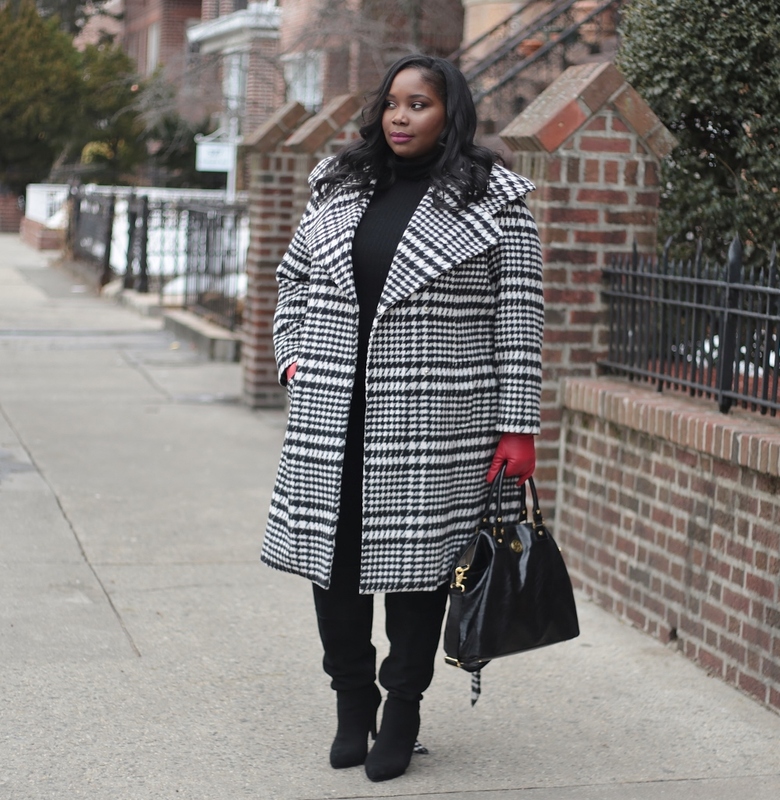 I found a snazzy houndstooth wrap coat from Simply Be. I used to sleep on Lane Bryant footwear but I’m telling you, this winter they had some really cute boots. I fell madly in love with their black suede over the knee boots. Every time I wear them, I get loads of compliments. 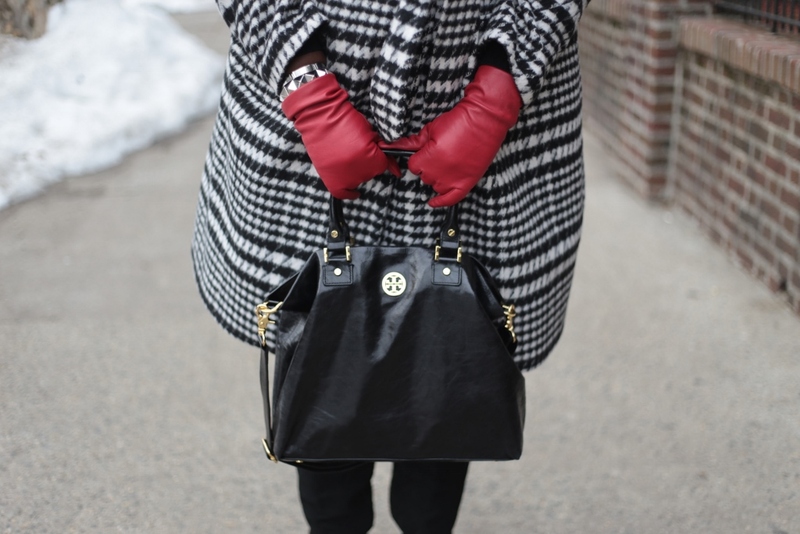 I like to wear the Simply Be houndstooth wrap coat with my red leather gloves. I think it adds flair to the outfit. I’ve never been one to wear small bags, so I always go with a medium to large tote. My current go to bag is this Tory Burch tote. The nice option about a wrap coat is that you can leave it open and it just makes your outfit look even more stylish. 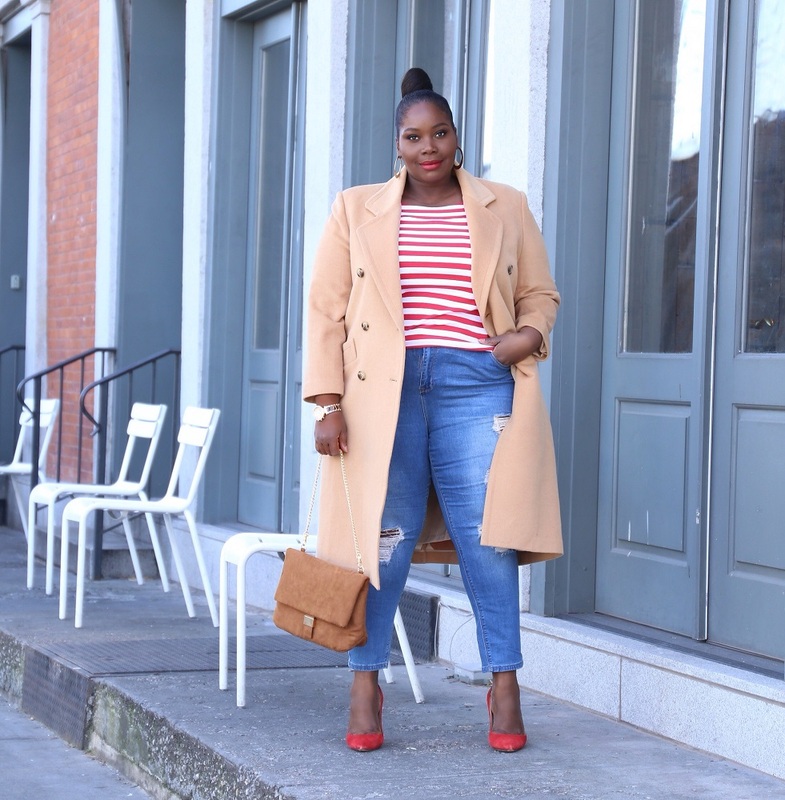 This Simply Be winter coat is a transitional piece that I can wear to work or on the weekends. I must admit that I felt a little like Olivia Pope with this look. It’s handled! 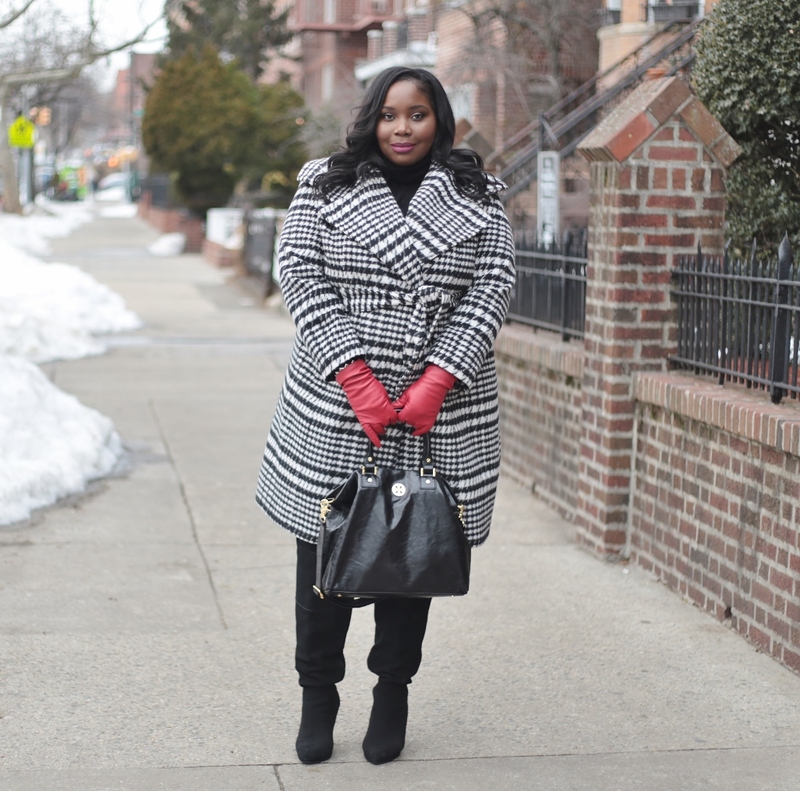 What type of winter coats do you like to wear? I read this article and found it very interesting, thought it might be something for you. 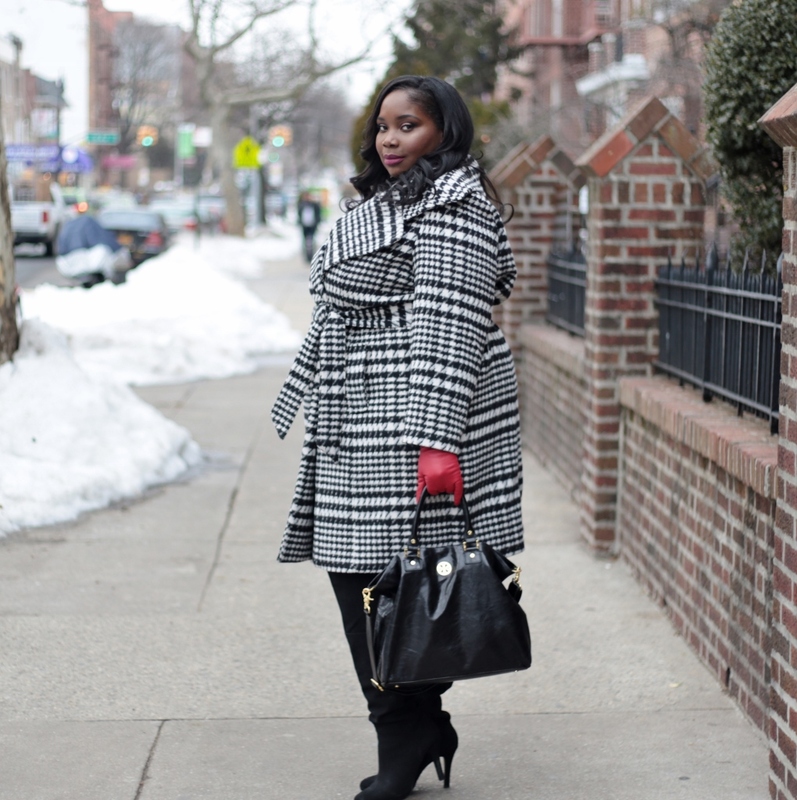 The article is called A Houndstooth Wrap Winter Coat And Red Leather Gloves and is located at https://stylishcurves.com/style-journey-a-houndstooth-wrap-coat-and-red-leather-gloves/.